The AIRTITAN series is a line of weather-proof fans designed to provide ventilation, odor, and moisture control for crawl spaces and basements. 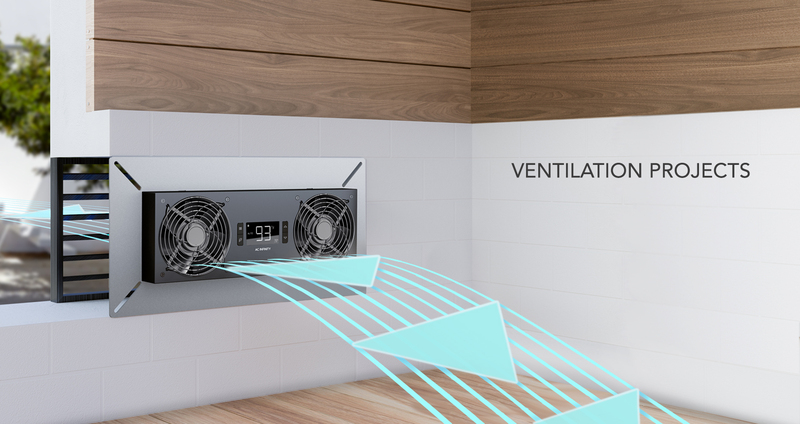 Features a digital controller with intelligent programming that will adjust airflow strength in response to high and low temperatures, as well as humidity. Each system is mounted on a stainless steel frame and fully enclosed with spiral guards. The fans are also IP-44 rated to be highly resistant to liquids and dust.